June is Dairy Month, which is a great time to take a new look at your consumption of milk and cheese. Are you supporting local farmers with your choices? Here in Wisconsin, it is easy to find locally raised dairy products both in the store and at the farmers’ market. 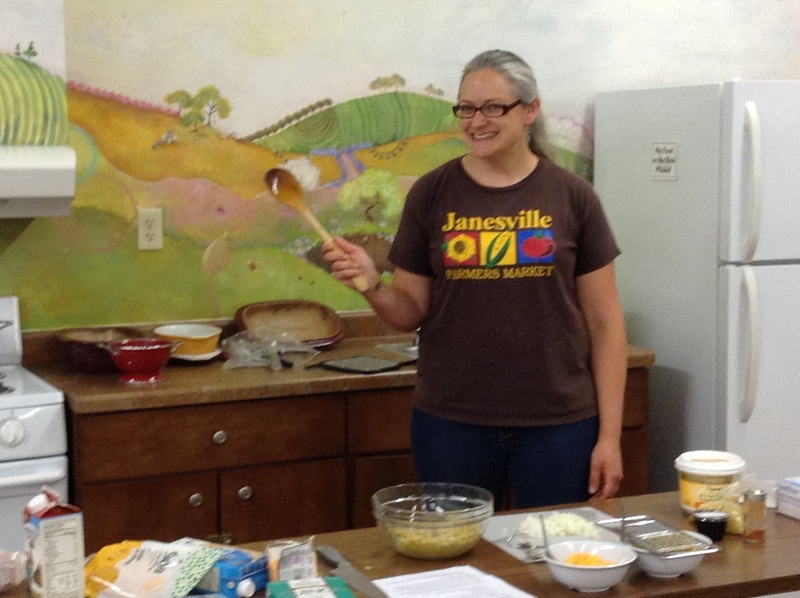 Janesville Farmers Market features local cheese from cows or goats. Try something new! You can expect to hear much more about vitamin K2 in the near future. It is being heavily researched for its role in cardiac health, bone health and even preventing wrinkles. Besides cheese, other sources of K2 include Natto (a strong-tasting fermented soybean product) and pasture-raised butter and egg yolks. The vitamin K2 and the calcium in cheese are not destroyed by cooking. 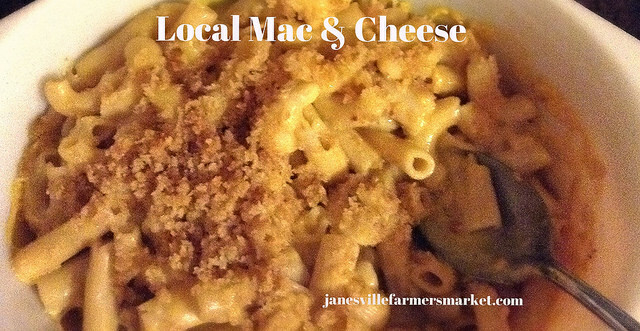 If you have trouble digesting dairy products, you may wish to try the Mac & Uncheese suggestions below. There are many dairy free cheese options available in stores. Unfortunately, dairy free cheese does not supply the same vitamins and minerals as the real thing. If lactose is your problem, you may be able to tolerate some types of hard cheese and other highly fermented dairy products. *Shredding Tip: Freeze softer cheeses for a couple hours before shredding. Cook the pasta in broth or water, according to package directions. Be careful not to overcook it. Reserve one cup of the starchy cooking water. Drain the noodles and rinse with cold water. While the pasta is cooking, melt 1 Tablespoon of the butter and toss with the breadcrumbs. Set aside. Melt the remaining butter in a medium saucepan and sauté the diced onion until it is translucent. Add the salt, pepper and paprika. Stir the flour into the butter or, if using arrowroot or cornstarch, stir the starch into the cold milk. Add the milk slowly to the butter mixture, whisking constantly. Continue to whisk until the mixture comes to a boil and begins to thicken. Turn off the heat and stir in the shredded cheese. Add some of the pasta cooking water, if needed, to make a creamy sauce that is pourable but not too runny. 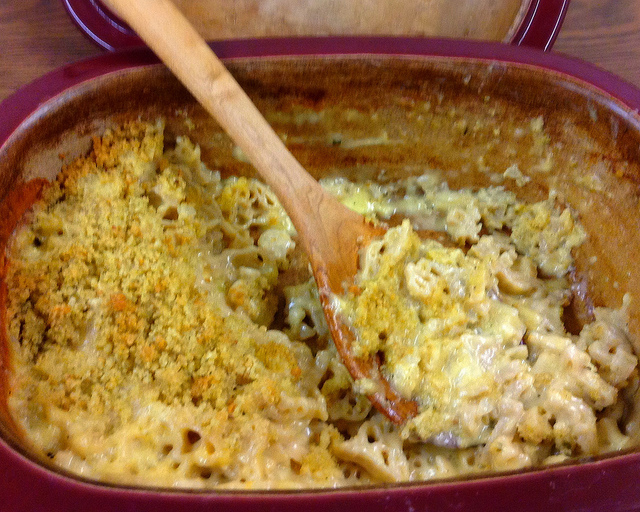 Mix the cheese sauce with the pasta and pour into a buttered, deep casserole dish. Spread the buttered bread crumbs on top and bake in a 350° oven for 30 minutes or until the breadcrumbs are beginning to turn golden. Let stand for 5 minutes before serving. Follow the directions above, but substitute gluten free pasta (brown rice pasta works well) and gluten free bread crumbs. Use coconut oil or a non-dairy spread for the butter. Use rice milk or broth for the milk. 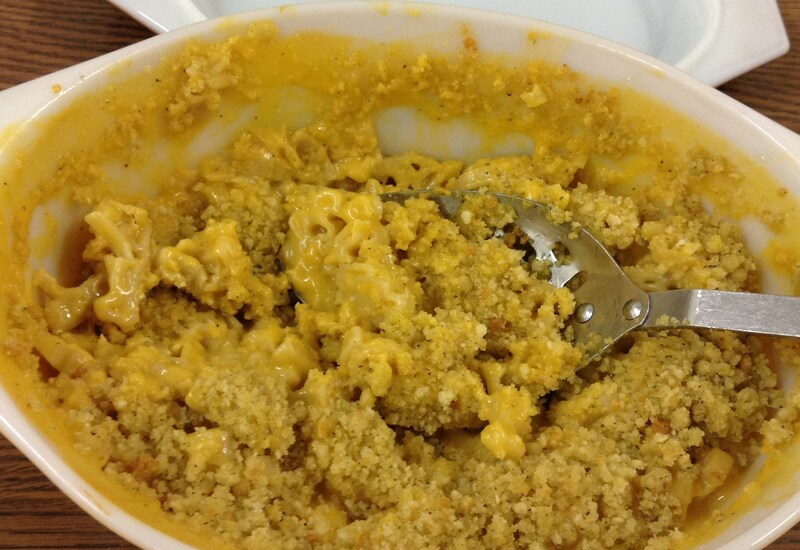 Add non-dairy “cheese” such as Daiya or Follow Your Heart and 1-2 tablespoons nutritional yeast. Cook the pasta in chicken broth and add cooked chicken (local, of course). Add cooked local bacon or ham. Add fresh herbs, such as basil. Include a few ounces of blue cheese or swiss in your cheese mixture. Substitute goat milk and goat cheese for all or part of the cheese blend. Try flavored cheeses, such as Garlic Cheddar or Horseradish Havarti. If you really want to think outside the box, try substituting your favorite whole grain for the pasta, as in the Quinoa Mac and Cheese Recipe below. To make a grain free version, substitute a bean-based pasta (see links below) or coarsely chopped veggies (try green beans, julienned kohlrabi, or chopped cauliflower) for the pasta.